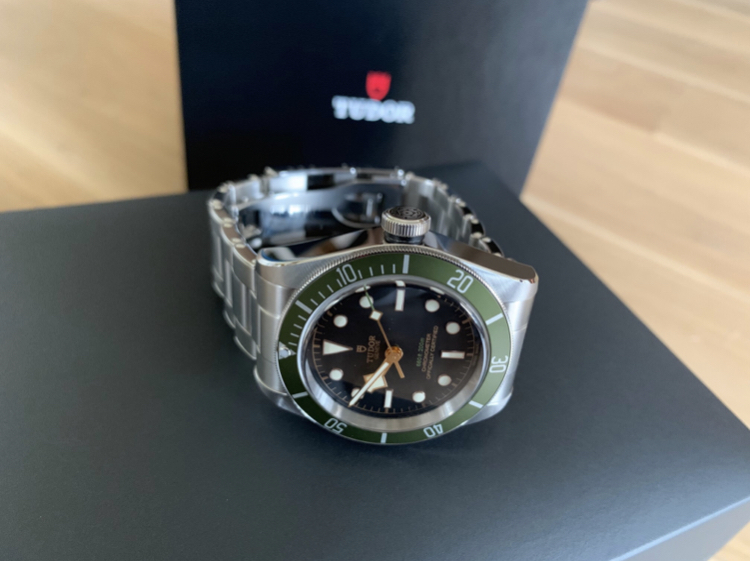 For sale is a Tudor Harrods Black Bay Ref 79230G Green Bezel. Running perfectly well without any issue. Includes complete box and papers from 2018.